Sew Together News - Cotton + Steel is here! You've got to love a cozy pair of pajama pants and we can show you how easy it is to make them. Join us on January 27th to learn how to make them. You will learn about basic garment construction and how to install an elastic waist. Come sew with us! Ready to dip your toe into the world of quilting? We are excited to help you on your journey. 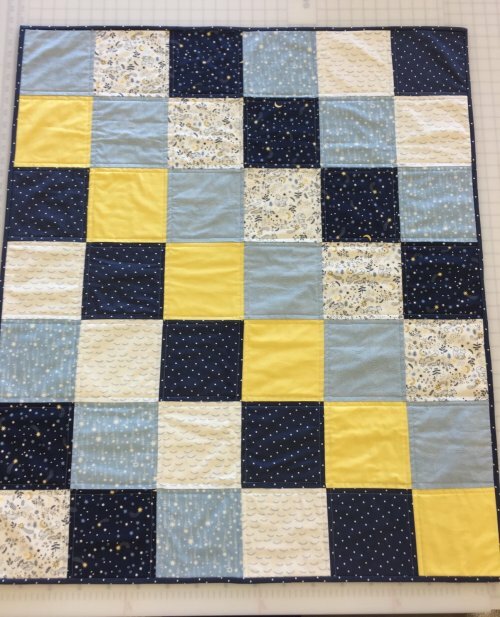 This 3 week class will teach you how to measure and cut accurately, piece the quilt top and get perfect 1/4" seams and then we will quilt the quilt and bind it. You will end up with a completed quilt. We'd love to have you! Truly master zippers in this fun class. 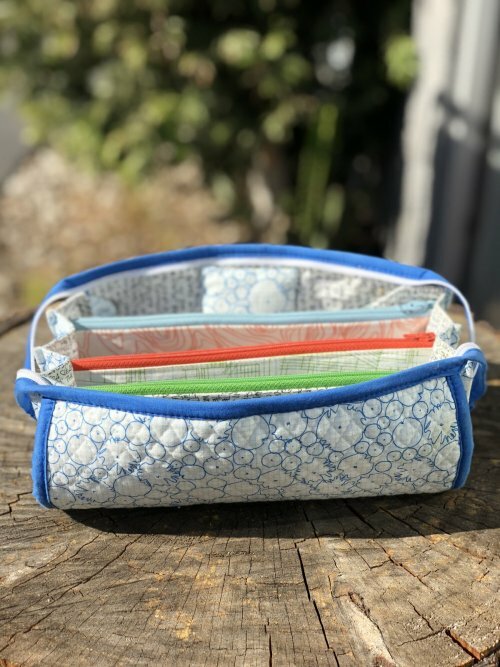 The Sew Together Bag is the perfect accessory for crafters and knitters. Won't you join us? We just received our shipment of Cotton + Steel and you are going to fall in love. 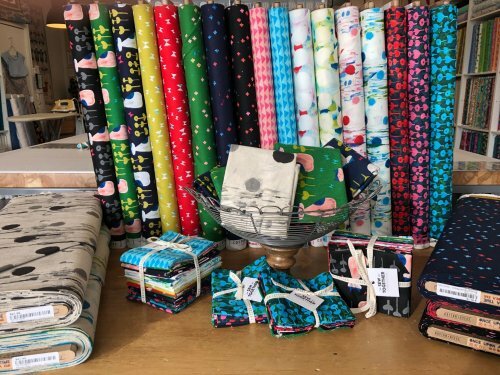 We have quilting cottons, rayons and canvas too. Grab some of the rayon and join us for Dress No. 3 this Saturday from 12-4. This dress is a great addition to your winter wardrobe!